This is the first in a new series of 2019 African mixes. I did some digging for vinyl during my recent to trip to Nairobi, and I’ve been downloading a ton of new (old) music from across the entire continent for the last few weeks. This is all brand new to me, and I don’t claim to possess a comprehensive knowledge of any of it – neither the history of the genres, nor the meaning behind the songs. I simply like what I hear, and I’m always eager to learn and share new things. if you like Kenyan vacation pics, check me out on Instagram or in my blog section of this site. Prior to my trip, most of my limited knowledge of African music has tended to focus on Western Afrofunk, Afrobeat and High Life. Nigeria. Ghana. Cameroon. Etc. I’m now beginning to discover awesome sounds from all over, and I realized that throwing them all into one mega-mix would be like trying to make a cohesive mix of music from the entire North & South American continents. It’s just too damn broad. So I’ll start with Kenya, and see where the groove takes me. Aside from some Rumba here and there, the majority of this mix is Benga, which literally means “beautiful thing” in the Luo language of Obama’s ancestors. Benga took hold in rural Kenya in the late 60s / early 70s as an evolution of Tanzanian & Congolese Rumba, which itself was heavily influenced by Cuban Mambo of the 40s & 50s. It’s golden era stretched into the late 80s, with names like John Ongara, Daniel Owino Misiani, and Kakai Kilonzo claiming residency in the hall of fame. Most records were only ever released on 45s and in very small numbers. Benga bands generally recorded in their own tribal languages, and the melodies and stories often reflected their own local songs and cultural traditions. This adherence to local dialects greatly hindered the ability of the genre to transcend borders, and a consistent lack of local airplay support from Nairobi radio didn’t help either. Nevertheless, over the years, Benga has emerged, among music historians and crate digging nerds like me, as the genre that Kenyans can claim distinctly as their own. 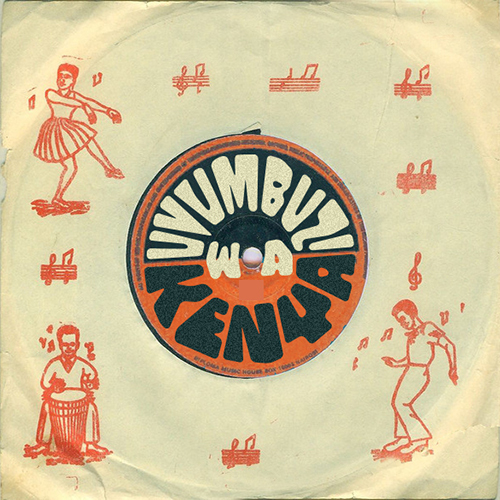 Rapar Wuon Osimbo – George Ramogi founded the Luo Street Band in 1965 in Kisumu, the capital of Nyanza Province in the Southwestern corner of Kenya that touches Lake Victoria. They later changed their name to The Continental Kilo Jazz Band, or C.K. Jazz Band. Ramogi is venerated as one of the godfathers of Benga, and was even brought to the states in 1994 by a group pf Benga enthusiasts eager to hear the real thing. Ngungu Na Muoi – Another giant of the genre, Kakai Kilonzo formed Les Kilimambogo Brothers Band in 1975. The first sang in the Kamba language of Eastern Kenya, but later switched to Swahili, which made them far more popular. Like the names that front all benga groups, Kilonzo was the lead guitarist and is revered as a master in this genre, that managed to translate the sound of traditional tribal instruments to the electric guitar. 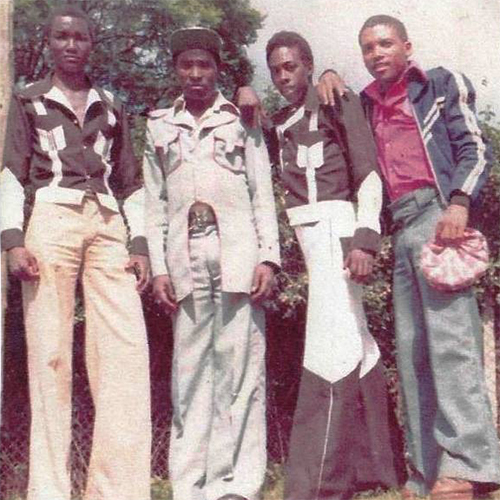 Kivelenge – Another Kamba group, The Kalambya Boys, (swag dripping above, left) led by Onesmus Musyoki and Joseph Mutaiti, were one of the primary Benga bands of the 1980s. One thing you notice in Kamba Benga is that the voices sound a bit more nasal, consistent with the dialect of that part of the country. Also, these recordings from the early 80s tend to have a more solid 4/4 kick, which may or may not be due to the influence of Western Disco. 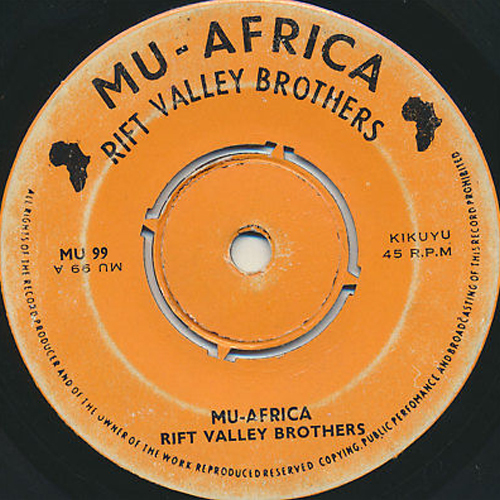 Mu Africa – A bit of Western African funk and even James Brown bleeds through on this funky cut from The Rift Valley Brothers, who sang in the language of the Kikuyu (Kenya’s largest tribal group) and also recorded as The Rift Valley Stars. This is a call for Pan-African pride and unity, a theme repeated all lover the continent in the 1970s. This beat also really reminds me of an old Studio One instrumental jam, The Brentford All Stars’ “Greedy G”. Not sure how much reggae was reaching Nairobi in 1975, but probably more than you would imagine. Mrembo Pesa – More driving Funk from The Eagles Lupopo 77. These guys released a bunch of 45s in Kenya and even a few on the Pathe label in France, so I’m guessing they must be singing in Kiswahili. Haven’t been able to find too many details about them so far. Mapenzi Hayana Daktari (Frankie Francis edit) – UK label Soundway is one of the few imprints consistently releasing these forgotten Kenyan gems, and this Frankie Francis edit of a Nairobi Matata Jazz track is just one example. This cooks along at the same speed of a lot of Benga, but has more of a Congolese Rumba sound, with the horns that are usually present in those groups. Tamba Tamba – Another track from this same group. You’ll notice the drums in Kenyan Rumba are almost nothing but high hat and kick drum, with lots of space for rapid-fire guitar solos. I’m seriously fighting the urge to throw a heavy house beat under this and many of these other tracks. Maybe next time. H.O. Ongili – The snare becomes almost the whole beat on this early Benga track from The Daniel Owino Misiani’s D.O. 7 Band, also known as D.O. 7 Shirati Jazz Band. 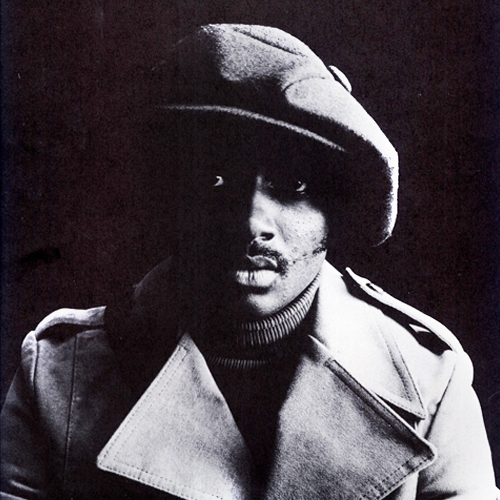 Misiani was born in Tanzania but moved to Kenya to pursue his musical dreams in the 1960s with Daudi Kabaka in the Equator Sound Band before forming his first group, Luo Sweet Voice. He sang in the Luo language and later also in Swahili. Lucy – The Mwenge Jazz band are actually from Tanzania but they seemed to fit nicely with all these Kenyan sounds. So many bands of this era across Africa used the word Jazz Band in their name – without actually playing traditional jazz at all. This is more straight up Tanzanian Rumba, but has some really weird notes and chords in the second half that give it a really unique sound. Simba Africa – This Kilimambogo Brothers Band song may be the best example of a Benga crossover song that I’ve heard. 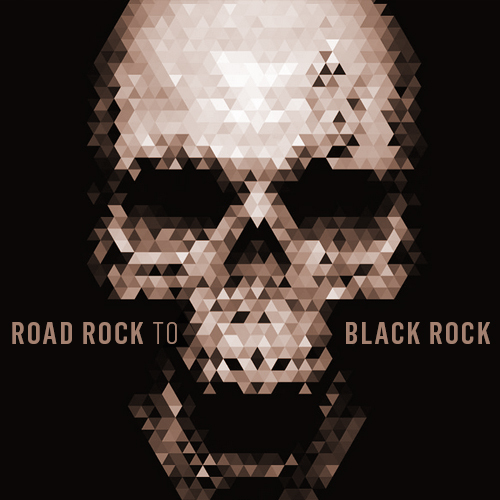 A simple riff that sounds almost like Western R&B, and a really hooky, memorable chorus. Simba means “power” in Swahili. You can imagine this working on almost any dance floor. Nitarudia – I had to sneak just one soukous number into this mix, from Orchestra Vévé Star. Though they hail from The Congo, if you listen close, the singer is spitting game to a girl in Nairobi, so I thought I could make it work in my Kenyan mix. Really great horn work on this track, reminiscent of groups like the JBs and The Africa 70 – as well as a bunch of Congolese musicians I am most likely unaware of. Maneno Mengi Sipendelei – This guy Aziz Abdi Kilambo has a band called the Orchestra Benga Africa, but his sound is way more rumba than Benga from what I hear. I Can’t find any info on him, but the best guess is that he’s from somewhere on the Swahili Coast. The title Google translates to “many words are not favorable”. Sounds like bad news to me. Anyango Maggy (Africaine 808 edit) – I started this out with the original Migori Superstars cut, then switched it up to the remix in the middle. 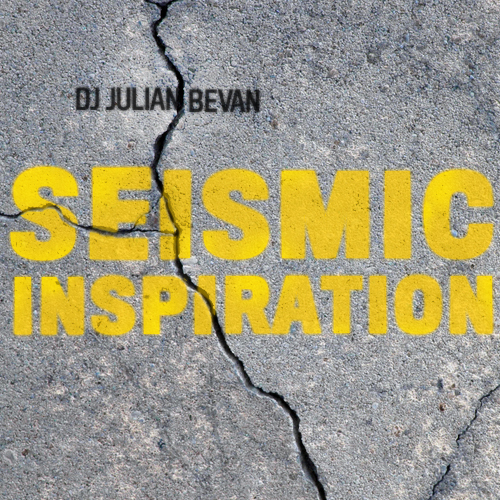 I had originally intended to keep this DJ mix remix-free, but I like what Africaine 808 is doing here. A bit more bass and some groovy SFX. I Can Feel It – One last Kikuyu group to round things out, this time with some a bit more American soul woven into the foundation. 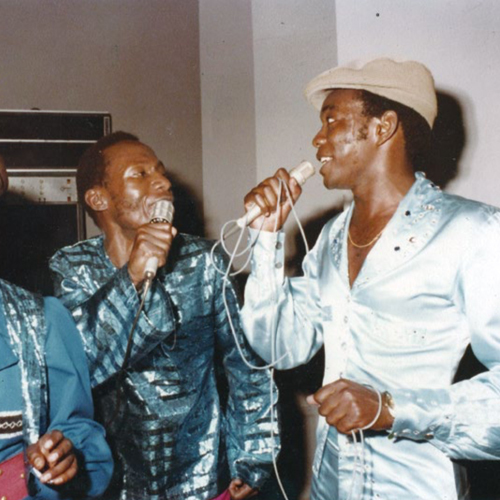 Daniel Kamau Mwai (pictured above, right) started recording in the late 60s and was releasing 45s as the leader of The Lulus Band as early as 1973. Singing in English and slowing down the Benga groove was a clear attempt at a crossover hit, and probably resonated a bit more in Nairobi than it did in the rural Rift Valley. Thanks for reading and listening. Thanks for bearing with my noob status regarding Kenyan music. And forgive me for any inaccuracies in the above text. I have way more research to do, and I really need to get back to Jimmy’s Record Shop in Nairobi and expand my Benga collection. Peace.